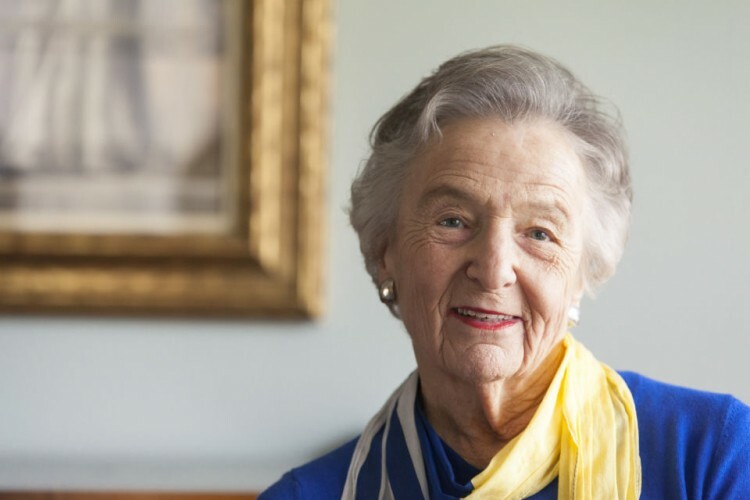 LYNCHBURG—Community pillar and philanthropist Rosel Schewel will serve as Randolph College’s 2015 Commencement speaker. Graduation ceremonies begin at 10 a.m. on Sunday, May 17. Visit www.randolphcollege.edu/commencement for more information. Schewel is known throughout the area for her dedication to education and social justice and has been a long-time supporter of Randolph College and numerous community organizations in Lynchburg. In particular, Schewel has worked to ensure that every student, regardless of background, has access to a high quality education. She currently serves as a member of the Lynchburg College Board of Trustees and is active on several additional boards such as the Lynchburg Holocaust Foundation and Beacon of Hope. Her commitment to education began during her career as a reading specialist and special education teacher for Lynchburg City Schools. Schewel went on to become an education professor at Lynchburg College from 1979-1998. She has also been involved in a long list of other organizations throughout Lynchburg and the state. Some of these organizations include: Amazement Square, The Lynchburg Fine Arts Center, the Lynchburg YWCA, The Greater Lynchburg Community Trust, Virginia Museum of Fine Arts Foundation, Virginia Baptist Hospital, and the United Way of Central Virginia. A CASA advocate for 20 years, Schewel also created the Woman’s Resource Center, which served women in Lynchburg for 25 years. Schewel’s work in the community has not gone unnoticed. She received the Greater Lynchburg Community Trust Achievement Award in 2012 and the Dale Harris Award for Outstanding Service to CASA in 2010. She has also been awarded the Mayor’s Award of Excellence, Amazement Square’s Goddess of the Year award, and the Outstanding Woman in Education Award from the YWCA, to name a few. She earned an undergraduate degree from Hood College and her M.Ed. and Ed.S from Lynchburg College. She also received an honorary Doctor of Humane Letters from Lynchburg College. She is married to the former Senator Elliot Schewel and has three children and six grandchildren.